Hey everyone. 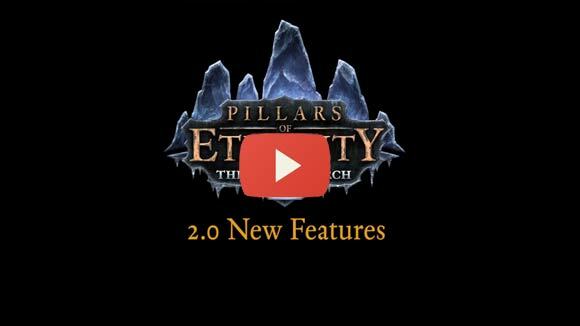 I'm Justin Britch and I'm the new task master for the Pillars of Eternity expansion. I have been at Obsidian for over two years now and have spent most of that time supporting the production teams all over the company. Bug reports, task tracking, and updates to production tools has been my life at Obsidian up until recently, but I'm excited jump into the fray. We have an expansion to show you! 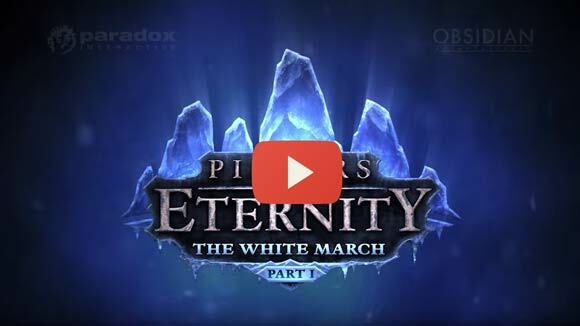 Pillars of Eternity: The White March - Part I is going to add additional character levels, spells, talents, areas, items, and companions to Pillars of Eternity. The expansion will come in two parts, and backers who already purchased the expansion will receive both part I and II. We will be announcing the release date soon, but the part I is not in the far future. 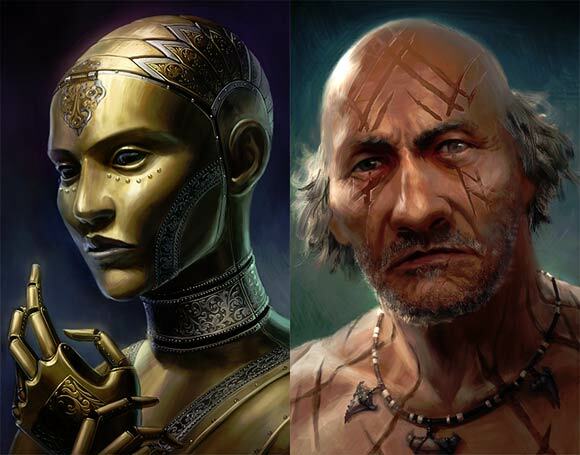 The expansion will include two new companions: Zahua (the monk shown on the cover of the game and formally known as Forton) and the Devil of Caroc (a rogue). Here is a brief description from Eric and Carrie who are writing them. Zahua comes from an agrarian people known as the Tacan that dwells in the Ixamitl (ih-SHAH-mitt -ull) Plains to the north. (You may have known him as Forton once, but we renamed him to reflect his region of origin.) He belongs to the Nalpazca, a strict order of warrior-monks that constitutes the Tacan's standing army. The Nalpazca distinguish between the material world and the imagined world of perceptions, feelings, and false structures, seeing the latter as the limiting force that prevents a person's transcendence. They employ extreme practices to remain ever-conscious of what is truly real, and are known for exhibiting bizarre anti-social behavior in public settings, consuming powerful hallucinogenic drugs, and inflicting great pain upon themselves, all so as to allow themselves to "see more clearly." There are even rumored to ritualistically cannibalize the flesh of the recent dead so that they might come to terms with their own mortality, though such rumors have the ring of superstition. The player will meet and get to know Zahua as a party member in White March Part I, and then his vision quest will come into focus later, in Part II. The Devil was once a trapper in Cold Morn, a village that became notorious for its role in the Saint's War. When she and her neighbors let the Readceran troops pass through town unopposed, they became a symbol of treachery and cowardice throughout Dyrwood. The Purges that swept the country began in Cold Morn, and everyone the Devil ever knew perished when an angry mob burned the village to the ground. The Devil survived and sought revenge on the men and women who set her home ablaze. She's still a rustic at heart, but her crude manners belie cunning and a cynical sense of humor. Hey, folks. Paradox has informed us that they have shipped DVDs to all addresses on record. If you have not received your game DVD or an email confirming that your game DVD is on its way, please contact our support and we will get you in touch with a Paradox representative. We are also putting the finishing touches on a 1.04 to 1.06 DVD update, as well. We hope to have that out to you guys in the next week or so.